Four magical days immersed in the takayna/Tarkine wilderness. 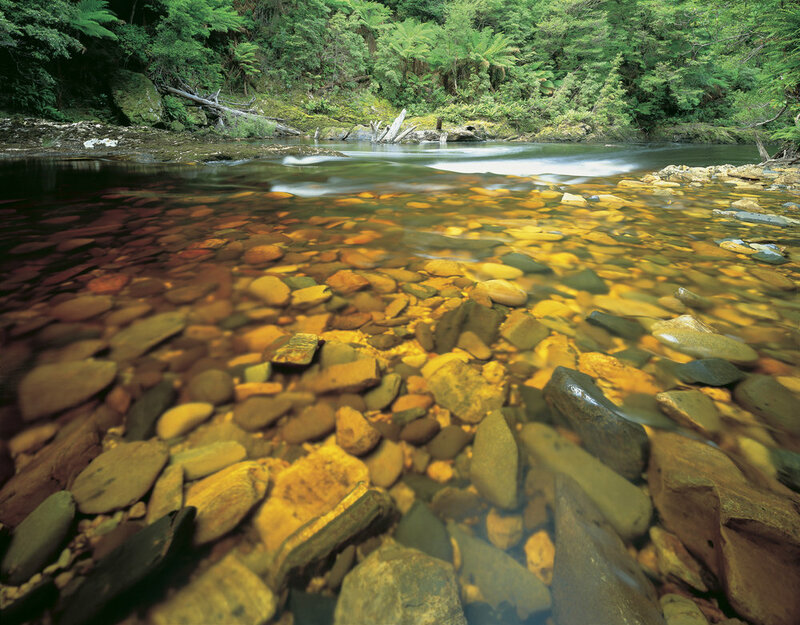 Take a step back in time and experience the raw beauty of the largest cool temperate rainforest in the southern hemisphere, the takayna/Tarkine. Designed with a broad range of fitness levels in mind, this four-day tour provides everyone with access to the stunning takayna/Tarkine wilderness while still maintaining that level of comfort. The walk to Tiger Ridge - your home for the next 3 days - is a steep one, but we'll take our time and follow the gentle zig zag track at a leisurely pace. Once at camp, it is all about settling in: exploring and enjoying the quiet surrounds and the company of new friends. Food, fire, and wine are essential ingredients to this process. You'll enjoy quality Tasmanian produce in every meal. By the end of today, you’ll feel as if you haven’t just traversed Tasmania but transcended it. We'll introduce you to ancient species that inhabit the takayna/Tarkine - flora and fauna alike. Our knowledgeable and passionate guides will explain the relationships that the native Tasmanians have with a wide variety of plant species you will see. It's like stepping back in time - tens of thousands of years. Returning to base camp, we'll lay out some delicious Tasmanian cheeses and fruits, and give you time to relax and freshen up before we begin cooking your dinner. Many guests take this opportunity to make use of our Japanese-style washroom as the sun sets, before joining us for pre-dinner drinks around the roaring fire. Our day today features a slow walk down to the Huskisson River. There's always something new to see in the takayna/Tarkine, and your guides will introduce you to the subtleties of the rainforest, as well as sharing some Tasmanian bush anecdotes. The Huskisson itself is a wild river that is broad and fast when high - but if the water level is low it meanders and warms in pools perfect for a midday swim. Our guides will prepare a hot lunch for you next to the river, before we explore the valley a little further. When we turn back - its time for a challenge (and perhaps our favourite part of the journey). You can choose to take a journey of quiet reflection back to camp, or join a guide for the return trip. We'll say no more. Once back at camp, Tiger Ridge’s Japanese-style washroom will be calling your name. It is a bathroom view you will wish you could take home with you. Then, after another meal of amazing Tassie produce, we settle around the fire with a glass of wine as the guides delve further into the history and stories of this ancient landscape. Take in the incredible rainforest for one last time (for this trip, at least), share your highlights with your companions and prepare for your walk out of the wilderness. Although it is time to say a sad farewell to this ancient rainforest, we have one last stop before our journey comes to an end. The small scenic town of Waratah sits on the edge of the takayna/Tarkine wilderness. Once home to the richest tin mine in the southern hemisphere, and with a unique water piece in the centre of town, there is much to learn and discover. This is your time to explore and enjoy what this remote, historical village has to offer and reacquaint yourself with ‘normal’ life. After lunch we’ll continue our homeward journey, giving you time to reminisce on the rainforest that captivates and inspires so many.